The Finnish textile company Marimekko was founded by Armi and Viljo Ratia in Helsinki in 1951. Made famous for their clothing designs, today Marimekko offers a wide selection of colourful and patterned products for the home. 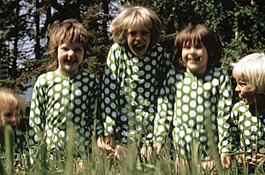 The Finnish textile company Marimekko was founded by Armi and Viljo Ratia in Helsinki in 1951. The name, which means as much as "Maris dress" represents "simple cloches for every day": Marimekko however, isn't famous because of simplicity. The bold designs, strong colours and innovative shapes of the textile products were responsible for the international breakthrough of the company in the 1960s. Some more milestones in Marimekko's history are the Maija Isola created Unikko Collection and the Maija Louekari and Sami Ruotsalainen made Siirtolapuutarha Collection. The origins of the company Marimekko date back to the textile company Printex, which has been founded by Viljo Ratia in 1949 as reaction to the big clothes demand of the post-war period. Armi Ratia also designed some patterns that were sold, but she didn't consider herself as designer. Therefore came Maija Isola as young and ambitioned chief designer to Printex. 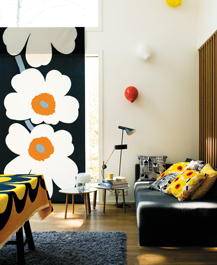 Marimekko was founded in 1951 with the aim of selling furniture and clothes textiles from Printex. When Marimekko presented the first collection – with the unusually happy and colourful fashion for that time – in 1953, the response was big. Vuokko Eskolin-Nurmesniemi set trends with bold steps, elementary textiles and a progressive brands name, instead of following them. That's how the company Marimekko reached the financial turn until 1955, getting more popular internationally, before being presented on the world's exposition in Brussels in 1958. The Brussels world exposition encouraged contracts from all over the world, bringing Marimekko clothes to America, where the president's wife, Jaqueline Kennedy bought seven dresses, ensuring strong, international media presence. 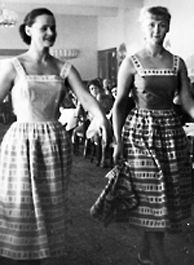 Vuokko Eskolin-Nurmesniemi left the company Marimekko in the end of the 1950s, founding his company Vuokko Oy. 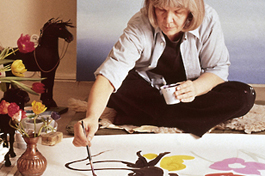 The artistic management of Marimekko was then taken by Annika Rimala. The usage of pure cotton instead of the then newish "wonder material" nylon also meant a difference for Marimekko, ignoring the trends. It reinforced its image as unconventional company. That image, which was mirrored in the simple, chic and legendary clothes style and the bold and colourful textiles by Annika Rimala, was especially desired by women in creative jobs. While the 1960s were inspired by the Space-Age design and psychedelic colours, the 1970s went back to serious and conformist designs. The collection Tasaraita from Annika Rimala from 1969 represents that: The equally striped clothes series included T-Shirts, nightgowns, underwear and shirts and it should complete the popular jeans trend. But despite (or maybe because) of the sober simplicity, the collection with the blue-white and red-white stripes became a real bestseller. 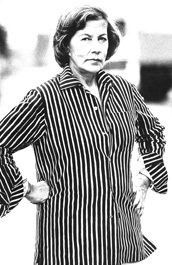 Armi Ratia passed by in October of 1979, which was the reason why Marimekko was sold to the Amer Group in 1985. The philosophy of the company's founders was kept, so it was still about "being different", but the promise of the big commercial success wasn't fulfilled. The urgency called Kirsti Paakkanen to undertake the company in 1991 and Marimekko was guided out of the loss-zone into a brighter future. Marimekko doesn't only design and produce high class fashion, textiles and bags, but it also offers a big assortment of ceramics, glass and many other furnishing elements for the bathroom, bedroom and living room. Besides the legendary patterns from Maija Isola, Vuokko Eskolin-Nurmesniemi or Annika Rimala, Marimekko also presents numerous designs by Finnish newcomers and design masters such as Ikka Suppanen, Nina Pirhonen or Harri Koskinen. From the inspiration source to the idea via the drawing to the produced fabric: Accompany the Marimekko fabric on its journey from its origin to the studio until it arrives at your home. Anu Penttinen Anu Penttinen graduated at the University of Art and Design in Helsinki. She focuses on glass material, which is why she leads a studio in Nuutajärvi Glass Village, where the most ancient glass houses of Finland are. Maija Louekari Maija Louekari is a Finnish designer, which was born in Oulu in 1982. She is especially famous for her patterns for the traditional manufacturer Marimekko. Vuokko Eskolin-Nurmesniemi Vuokko Eskolin-Nurmesniemi is a Finnish fashion designer who created revolutionary designs for Marimekko making the company famous together with Maija Isola. Simple patterns and shapes are the flagship of her designs.